Kohlrabi, sometimes called German turnip or turnip cabbage, was developed by selection for an enlarged edible stem. 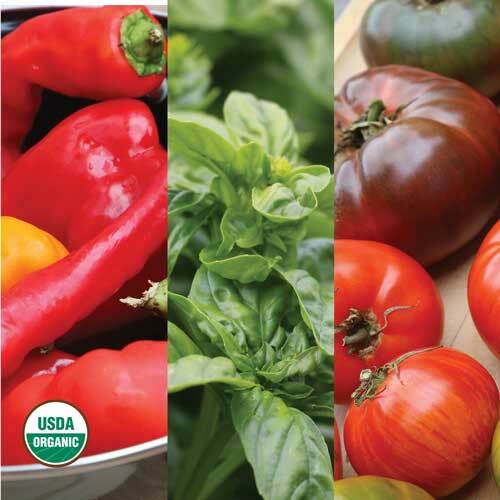 The edible part of the plant, which can be eaten raw or cooked, is either green or purple. 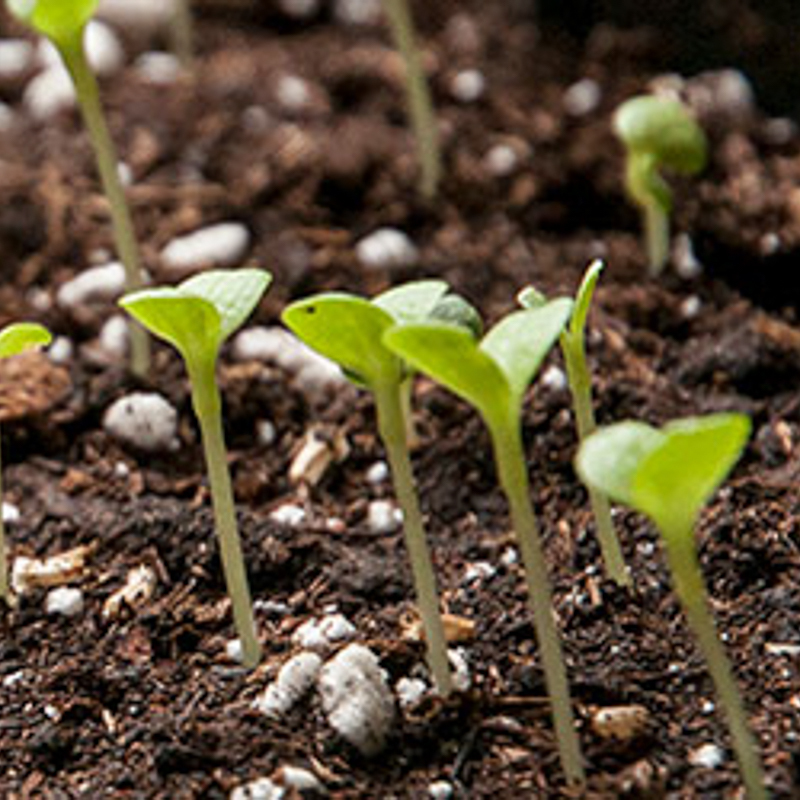 Seeds can be sown outside just after the last frost, or inside several weeks before the last frost and then transplanted outside. If planting kohlrabi as a fall crop, direct sow seeds around 90 days before the first frost date. In the spring, transplant kohlrabi seedlings outdoors around 1-2 weeks before your last frost date. Sow kohlrabi seeds ¼ inch deep. Space plants 9-12 inches apart. Kohlrabi doesn’t grow well in loose soil. Kohlrabi is susceptible to pests such as flea beetles. It is easy to deter these beetles by covering kohlrabi plants with a thin row cover. Harvest kohlrabi plants when the bulbs reach 3 inches in diameter. Cut the stem just above the soil line. Kohlrabi bulbs can be used in a variety of ways. Raw kohlrabi can be grated and used in salads, the bulb can be chopped finely and incorporated into soups. Steamed kohlrabi can be also be added to soups. Shredded kohlrabi can be made into fritters or vegetable pancakes, while roasted kohlrabi is a great winter treat. Kohlrabi greens can also be eaten when young. Kohlrabi can be stored in the refrigerator for several weeks. 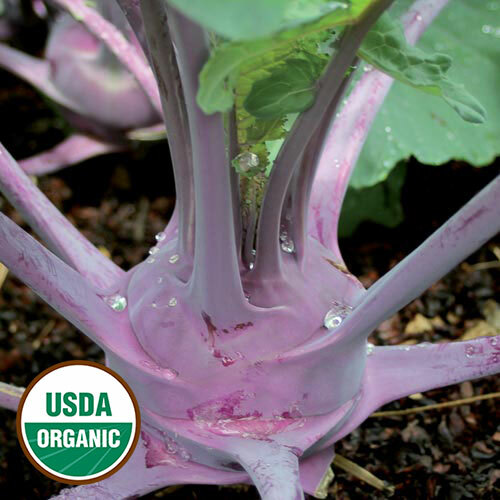 Kohlrabi belongs to the Brassica oleracea species, which includes many other crop types, like broccoli, Brussels sprouts, and cauliflower. 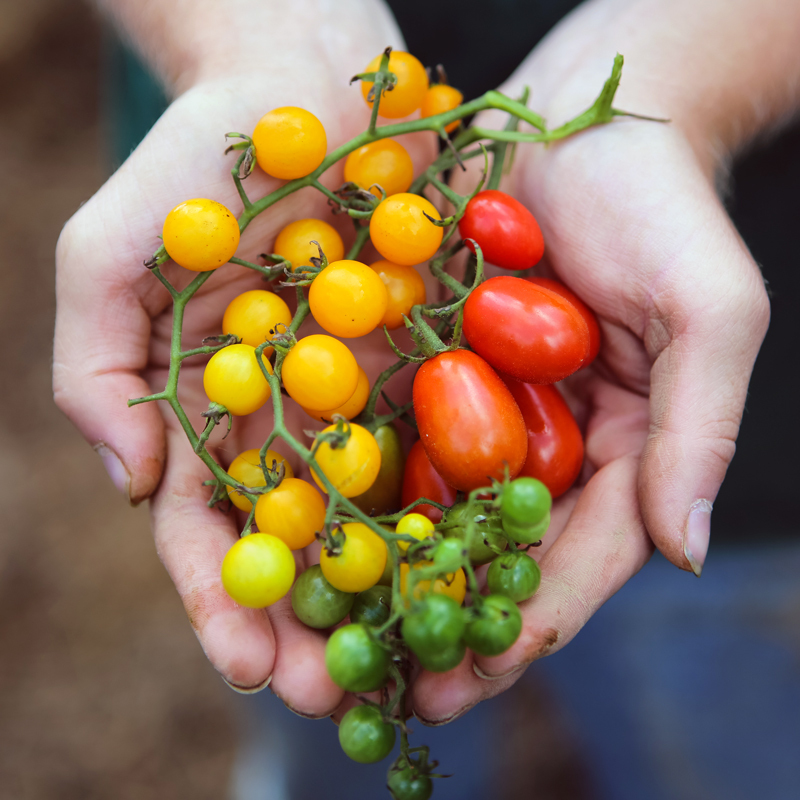 Because of this, isolation needs to be managed thoughtfully, but because most are biennials that will not flower until their second season, a gardener can grow multiple varieties for eating while simultaneously growing one variety for seed saving. 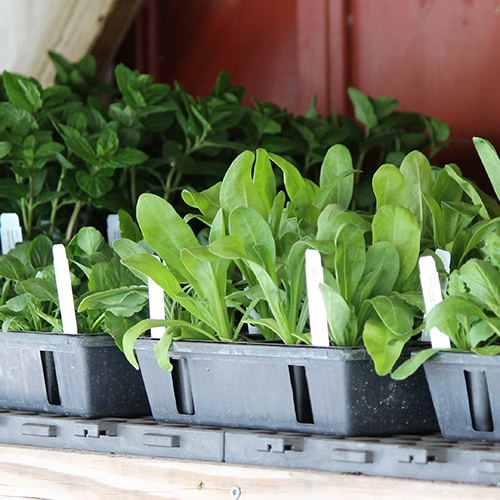 Separate varieties by 800 feet - ½ mile in their second year of growth. To ensure viable seeds, save seeds from at least 5 plants. When maintaining a variety over many generations, save seeds from 20-50 plants. 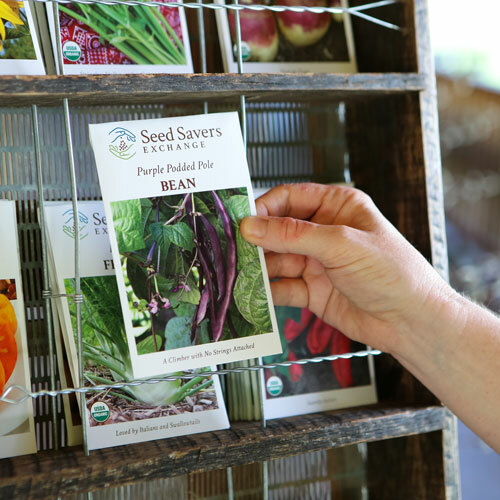 If you’re saving seeds for genetic preservation of a rare variety, save seeds from 80 plants. Vernalization can happen in the field or in storage. Overwinter cabbage in the garden if you will have 10-12 weeks of cool weather (around 50 degrees F) without regular temperatures below 35 degrees F.
When plants cannot be successfully overwintered in the garden, they can be vernalized in storage. Before the first frost, dig up the entire plant, roots and all. Trim off outer leaves but keep the growing point intact. Replant these trimmed plants in containers filled with slightly moist potting mix or sand. Then, find a place to store your plants. The optimum storage conditions for kohlrabi vernalization ranges from 34-39 degrees F and 80-95% relative humidity. A traditional root cellar is ideal but garages, sheds, and other unheated structures work well in some climates. In the spring, when the soil can be worked, replant kohlrabi in your garden. Space plants at least 36 inches apart. After flowering in their second year of growth, mature seed pods become dry and turn brown as the seeds inside also mature and brown. As with many of the Brassica crops, the window of time for an optimal harvest may be short as mature pods will begin to shatter and bird predation can become a problem. Seeds can be gathered by cutting entire branches or by harvesting whole plants. Because of this species’ tendency to shatter, the harvested material should be placed on drop cloths or in containers to prevent seed loss. Branches of mature fruits can be threshed by rubbing the pods between one’s hands or by hitting the brittle pods against any surface that will cause fruits to break open. If the pods are dry, they will release their seeds easily when threshed. Store kohlrabi seeds in a cool, dark, and dry place in an airtight container to keep out moisture and humidity. Properly stored kohlrabi seeds will remain viable for several years.